In the UK, it’s estimated that around 1.5 million employees already work remotely. Recent data has revealed that in 2018, the number of SmartWorking job listings increased by 151%, but why are some businesses still very reluctant to hire remote workers? 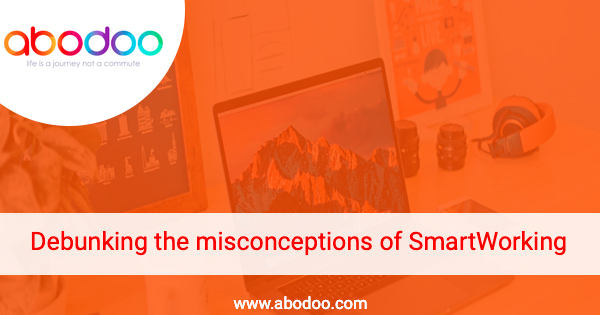 There are many false illusions about SmartWorking, below, we’ve listed the top 4 misconceptions about SmartWorkers. This is often one of the main misconceptions about home working. Many business owners don’t realise that office environments are actually incredibly distracting places. People who work from home have actually been found to be on average 13% more productive, and in some cases, up to 30% more than their in-office counterparts. The biggest waste of time for many workers is commuting. Working remotely actually gives people time back to sleep, spend with their families, or exercise—resulting in healthier, more productive employees. There are a lot of companies that think remote workers don’t put in enough effort, or that they can’t contribute to a hard-working culture if they aren’t in the office. However, office environments are not only filled with office politics and drama but also water cooler chatter and gossip. Remote working employees don’t have this problem and it forces employees to make better use of company time with fewer distractions. Many employers don’t realise that they’re actually limiting talent and innovation within the company by only employing office workers. When you hire someone for a role, you will often only receive applications from people within proximity to your business, this limits the talent in your business. When you open your company up to remote employees, you remove the limits of having to hire local and expand your search to the most talented professionals around the world. While there are some overhead costs to take into account, many businesses save quite a bit of money by hiring SmartWorkers. The cost of basic business items like office supplies, furniture, cleaning services, and electricity are all reduced. If you find yourself hiring more home-workers, there’s a chance you may not need an office at all, further reducing the cost. By hiring home-workers, you’ll also not have to worry about needing to expand or upgrade the office space as your business grows, this can be a huge money saver. There’s are so many benefits of hiring SmartWorking employees. But we understand that it can be scary for a business to take that next step, however, we’re here to help. For more information about remote working, please contact us and we’ll be happy to offer personalized advice for your business’s recruitment needs.